In which the Bathtub Mermaid babbles about writing fetishes, like Moleskine notebooks. DDoP #28: Moleskine by Melissa Bartell is licensed under a Creative Commons Attribution-NonCommercial-ShareAlike 4.0 International License. 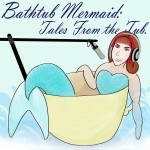 ← DDoP #27: Bathtub Mermaid?